Yet more evidence casting doubt on the contention that shortfalls of crude from Iran and Venezuela will spell a calamitous market tightening, the International Energy Agency revealed in its monthly report that global supply reached a record 100 million barrels per day (bpd), more than compensating for the problems being generated by those two countries. But curiously, the news wasn't cited as a factor in prices pulling back on Friday; instead, U.S. president Donald Trump reportedly instructing aides to proceed with tariffs on about $200 billion more of Chinese products plus ongoing worries about the sanctions against Iran resulted in a mixed trading day, with West Texas Intermediate settling up 40 cents at $68.99 per barrel, and Brent dropping 5 cents per barrel to $78.12. Petromatrix said in a research note that "There has been a lot of speculative interest searching for Brent above $80.00 a barrel on the back of the U.S. sanctions on buyers of Iranian crude oil, but so far this year any buying of Brent above $79.00 barrel did not have a long shelf life." Friday also saw news from Baker Hughes that U.S. drillers added two oil rigs in the week to December 1, bringing the total count up to 749, the highest since September. Even though geopolitical turmoil such as that of the U.S./Iran conflict has understandably inspired many experts to forecast grim scenarios for global crude supplies, the IEA report strongly suggests that international producers are more than capable of dealing with shortfalls. The report showed that higher production from the Organization of the Petroleum Exporting Countries (OPEC) more than offset seasonal declines from non-OPEC members, although non-OPEC supply was also up 2.6 million bpd in August of the previous year, led by the U.S. The IEA forecasts non-OPEC production to grow by 2 million bpd in 2018 and 1.8 million bpd in 2019, characterized by "relentless growth led by record output from the U.S."
Another factor that undercuts the argument of a tightening market is waning demand, and the IEA noted that the demand outlook for this year and next is less bullish, with demand growth unchanged at 1.4 million bpd and 1.5 million bpd, respectively. 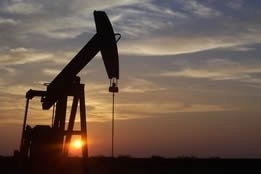 Still, the IEA remained cautious in its report, stating that "We are entering a very crucial period for the oil market." Neil Atkinson, head of the oil industry and markets division at the IEA, was more explicit: he told CNBC that while there is "no way of knowing" how much Iran's exports will fall due to the sanctions, "The market is expected to tighten during the later part of this year, because if Iran's exports do fall by a considerable volume, we'll be relying on other producers to increase their output to make up for that." He named Iraq, Libya, Nigeria and Saudi Arabia as some of the producers that will be able to achieve more output increases in the coming months. The IEA is not the only organization that forecast less than stellar demand growth in the near term: earlier this week, OPEC revised its world oil demand forecasts for this year and next, due to sluggish economic performance in Latin America and the Middle East.